Spring is truly here! This means lighter evenings, warmer weather and an abundance of fresh vegetables! 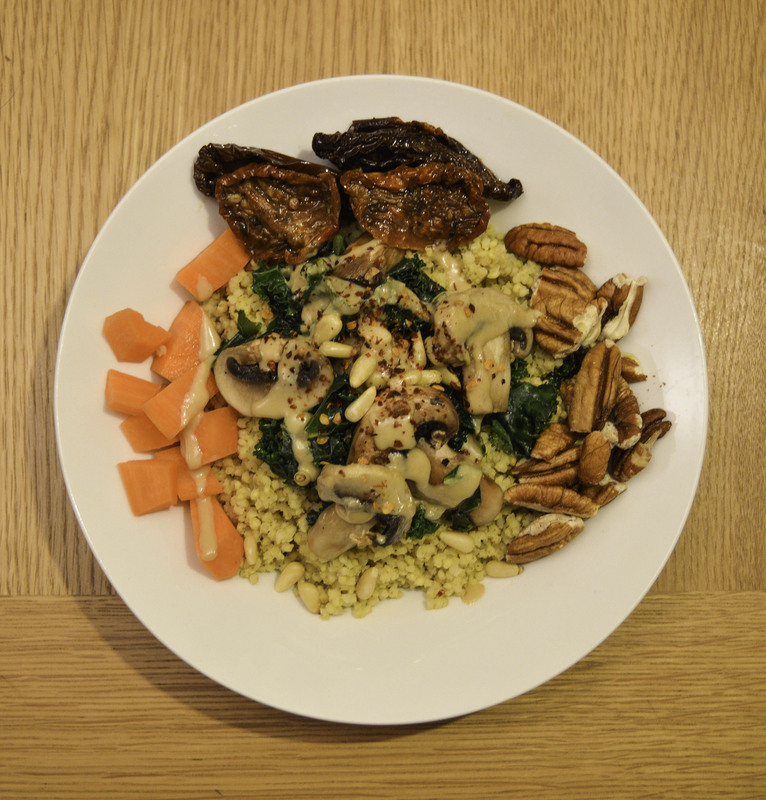 This millet super-food bowl is a great way to enjoy all the amazing vegetables available right now. It is really healthy and packed with nutrients. 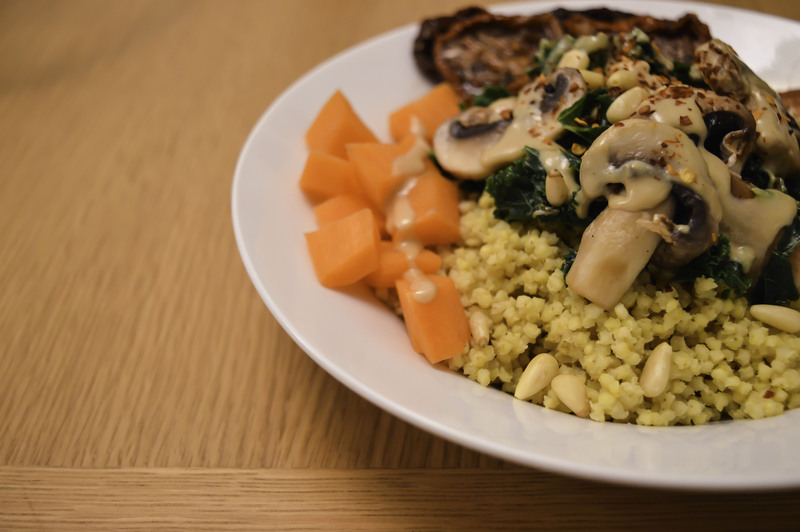 Millet is often thought of as ‘bird food’ but it actually makes a great alternative to cous cous or rice. Millet is so easy to cook – it tastes even better if you toast the seeds before simmering it. My super-food bowl makes an amazing supper or lunch and is packed with protein rich ingredients – helping you feel fuller for longer. It takes under an hour to make and you can swap the vegetables to suit your preferences! Enjoy! Toast the millet in a dry pan until golden brown. Stir continuously to ensure it doesn’t burn. Add the water and stock cube. Be warned the water will bubble furiously when you first add it. Just stir well and leave to simmer until the grain is cooked. This takes around 20 – 30 minutes. In another pan saute the kale and mushrooms until soft. Dish the millet up and add the veggies, nuts and seeds. Drizzle the tahini and sprinkle the chili flakes. Serve and devour immediately. 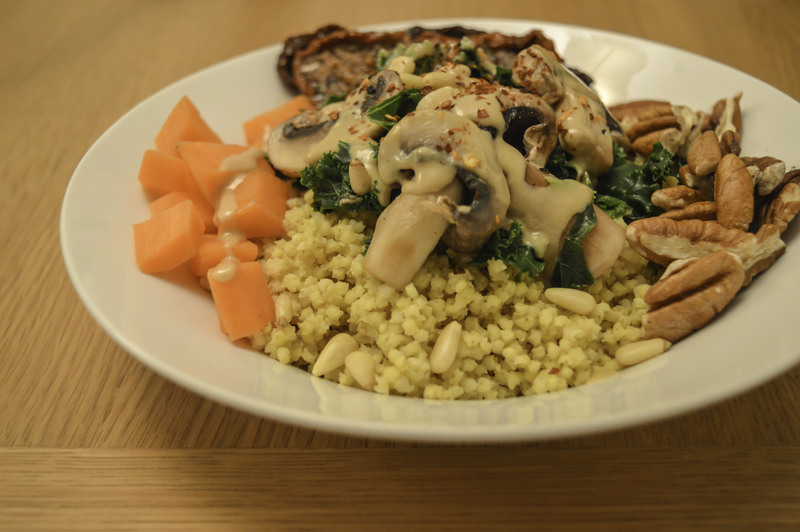 Posted on April 15, 2015 January 7, 2016 by TinaManahaiPosted in RecipeTagged 2015, April, Brighton, Cooking, dinner, Food, Grain-free, Healthy, Kale, lunch, Millet, Mushroom, Vegetarian.